Today Big Brother Watch is delighted to publish a paper authored by Conor Burns MP on the European Arrest Warrant. The paper calls on the Government to urgently review the European Arrest Warrant system, warning that the current operation of the warrants is “fundamentally incompatible” with the principles of British justice. 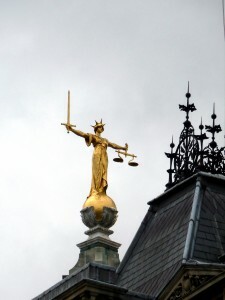 To protect the ‘interests, rights and liberties of British citizens’ Conor argues reform of the arrest warrant system is essential. It is not unreasonable to ask that British citizens should not be extradited for offences that either trivial or not recognised as crimes in the UK, while being sure that they will not face prolonged uncertainty in a foreign jail before a decision to charge is even made. At present a warrant can be issued by any member state of the EU, with the receiving country not able to challenge the warrant’s basis or to demand evidence be provided to substantiate the allegations being made. This leads to a serious risk that individuals are held without charge while investigations are conducted, in some cases for many months. Furthermore, the report argues that British citizens should be able to choose to be tried in a UK court, rather than be extradited to less judicially-rigorous nations. The system is in dire need of reform to protect the civil liberties of British citizens and the longer the Government waits, the greater the risk of yet another tragic case arising. With MPs from every party agreeing the system is not working, delay is inexcusable.